The third runway at Heathrow could be built eight metres above the M25. Rather than tunnelling the motorway under the runway, plans have been put forward for building it on an eight metre ramp above it. It comes after senior highways officials warned of years of traffic mayhem and hefty bills if planners decided to tunnel Britain’s busiest motorway under the new landing site. Mr Grayling said: “One of the things that Heathrow have been looking at is that what they do has to be affordable for passengers as well, it’s not just simply about landing extra cost on the shoulders of passengers. 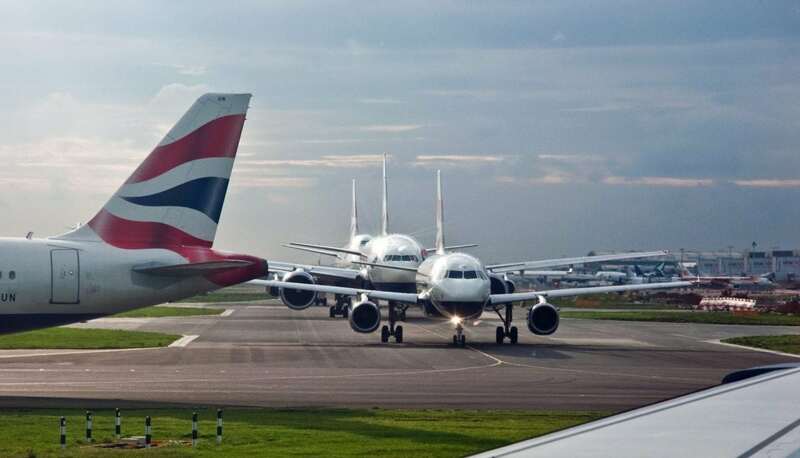 “One of the things that Heathrow has been looking at is doing what many other airports have done around the world, which is to build their runway over the top of the road rather than tunneling underneath it.